You are thinking to send your son or daughter summer camp? Like most people today you turn to the Internet to find the perfect summer camp. Going to your favorite search engine you type in the term “summer camp” and immediately you are overwhelmed with hundreds, if not thousands of choices. 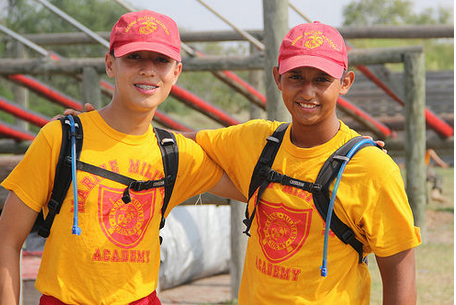 How do you decide which summer camp is the best choice? Some summer camps appear more often than others. Some appear higher up on the list of choices. So obviously these must be the best summer camps, but are they really? In this article we will explore how to use the internet to make to find and select a summer camp for your son or daughter. When you type in the term “summer camp,” how does google or other search engines decide who gets listed the in the top locations of the result? Well as it turns out there are a couple of ways Google and other search engines decide which summer camps get the best spots. One method is through paid ads. If you look closely at search results you will see that many of the selections at the top of the list and many off to the sides are actually ads that have been purchased by interested parties. Interested parties can pay specifically for a specific word or combination of words they think people will type into a search engine, in this case is the search term “summer camp”. Those who bid the most money will have their ad positioned more visibly at the top or side of the page when someone searches for “summer camp”. A second method is by having a high natural search ranking. Websites with quality content on their pages that relate directly to the search term, will rank higher. Does the search term appear in the title, is the search term used in the content, do the search terms relate to the overall topic of the page? These and other ranking criteria all help a website to rank well naturally by their content and appear just beneath the paid advertisements. The problem with finding the “perfect” summer camp lies in the search term you use. A term too generic will make the likelihood of finding the camp that fits your needs pretty slim. When broad terms like “summer camp” are used, that perfect summer camp for you could be on page 30 of the search results and you may never see it because most people won’t click past the first page, or even the first 5 items on the first page. The ads being displayed are from those interested parties that spent the most for the search words you typed which may or may not be what you are seeking. 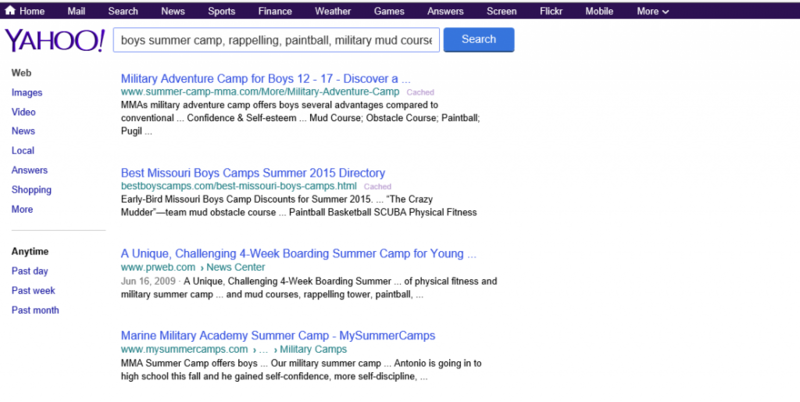 So how can you use a search engine to find that right summer camp for your child? This can be accomplished by being smarter with your searching, which entails identifying not only the type of summer camp you want (band, military, adventure, spiritual) but also recognizing what makes a good summer camp. These directory site will post information about the camp and a link to the camp’s website. Keep in mind, that these sites are often advertising directories and that organizations will pay to promote their camps. This not necessarily a bad thing. But it is unlikely that you will receive a full list of all of the camps available for your area of interest. Some of the good ones may be left out because they chose not to advertise with the website. Using the directory searches in combination with solid search engine search technique will result in the best range of choices. Finding a summer camp that is a good fit for your child takes time. Use good search techniques and when you have narrowed your choices be sure to contact the camp to be certain that they meet your expectations and your child’s needs. Interested in learning more about our summer camp? Visit Marine Military Academy’s all boys summer camp website. This entry was posted in Summer Camps, Uncategorized. Bookmark the permalink.